Hammerin’” Hank Greenberg was coming off a stellar season where he’d hit 40 home runs and 184 RBIs, becoming only the thirteenth player to ever hit 40 or more homers (and one of only four players to have 40 or more home runs and 175 or more RBIs in a season). Even with his success at the plate, neither Greenberg nor the rest of the world could have expected what was about to happen in 1938. From his first day in the big leagues, the New York-born Greenberg had dealt with persecution for being Jewish. From teammate Jo-Jo White asking where his horns were to the verbal abuse from bigoted fans and the media, the 6-foot-3 slugger always did his best to shut the noise out and concentrate on baseball. But in 1938, that would be more difficult then he could have ever imagined. While Greenberg was battling at the plate, his people overseas were dealing with a completely different battle. Adolf Hitler, who had been chancellor of Germany since 1933, had taken direct control of the country’s military in February of ’38. He then began his methodic takeover of all neighboring countries, spreading Nazism and the early stages of World War II and the Holocaust. "Ron Kaplan has this subject cornered. With diligent research woven into a very entertaining read, he has nailed Hank Greenberg's most important and controversial season into a book for the ages." 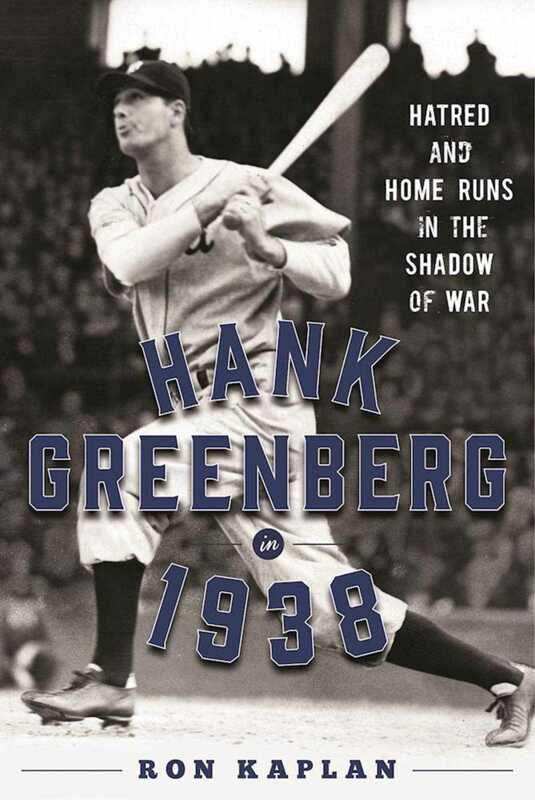 "Kaplan offers a detailed analysis of the season and Greenberg’s quest for the record"
"Ron Kaplan tells the story with the same dignity and grace that Greenberg exhibited on the field and in his life. . . . Hank Greenberg in 1938 is a wonderful baseball book, loaded with anecdotes and statistics. Whether you love baseball, history or both, you will want to read it."